Although the jury does not yet know how flexible the phone screens will be, the technology behind them remains one of the most lucrative trade secrets in the industry. It is therefore not surprising to learn that South Korean officials accused the CEO of a Samsung supplier and eight employees of trying to sell flexible screen technology to a Chinese competitor. According to Bloomberg, prosecutors said that after a recent decline in sales, the CEO of a Samsung supplier had created a fake company and built critical components for Bendy display in a separate factory before selling the technology to a Chinese screen maker between May 15.5 and May 5. billion won (about $ 13.8 million). 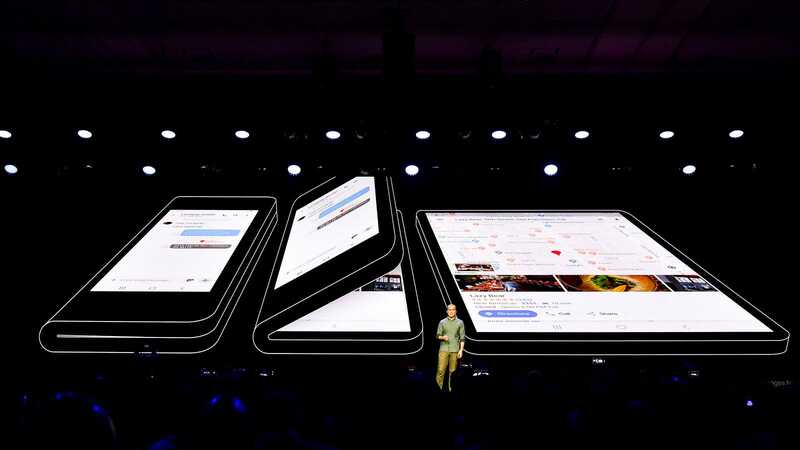 The components in question were referred to as "3D Laminating" technology, including flexible OLED panels, shock-absorbing films, and flexible adhesives used to create the Samsung Infinity Flex Display. In the end, the whole project would have disappeared when Samsung's supplier was caught loading components on a ship bound for mainland China. We may never know which Chinese manufacturer has tried to buy the technology because the names of the companies and individuals in this business have not been disclosed. Business espionage is not new, but such situations seem to occur more frequently, since an Apple engineer has recently been accused of stealing documents related to autonomous driving and the Chinese company Fujian Jinhua Integrated Circuit Co. has been charged with theft of Micron DRAM technology based in the United States. With the imminent arrival of the first flexible screen Samsung phone, planned for next year, this case is perhaps the most publicized example of the ugly ways in which technology companies are trying to keep up. And although Samsung may have prevented a company from selling its secrets at the moment, it's only a matter of time before this information is disclosed.